This fall, Eastern National begins phase two of the implementation of a realignment of its regions to better serve our staff and partners. Phase two will impact the parks EN serves in the Midwest and Northeast regions. Over the next few weeks, a new Eastern National Midwest Region will be created that will contain nine units of the NPS Midwest Region. These locations were previously managed by EN Southern Regional Manager Helena Adcock and EN Great Lakes Regional Manager Cathy Nagle-Ervin. The Southern Region will now include parks primarily in Mississippi, Arkansas, and Louisiana. The Great Lakes Region will now include parks primarily in Minnesota, Michigan, Indiana, Illinois, Wisconsin, and Ohio. By realigning the regions, there will be a tighter geographic focus for each regional manager. Phase one of this realignment was completed earlier this year, which resulted in the addition of the newly formed Appalachia Region and shifted the EN regional borders throughout parks in the Southeast. More information on phase one can be found here. Eastern National is pleased to welcome Cindy Piccolo as regional manager for the newly created Midwest Region, effective November 20, 2017. The new Midwest Region covers Nebraska, Kansas, South Dakota, Missouri, and Iowa. Cindy has over 10 years of experience in business management, leading several teams around the globe. 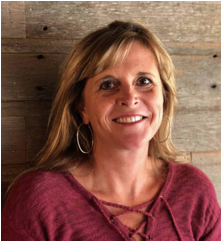 Prior to joining Eastern National, Cindy spent 13 years as director of business intelligence in the online payment industry. Her focus was on process improvement, people development, and cost-savings reporting. Cindy has a love for the outdoors and enjoys traveling to new places. With her 18-year-old son off to college, she is very excited to start this new chapter with Eastern National. Performers entertained the crowd with period music at James A. Garfield National Historic Site’s eighth annual Civil War encampment weekend. NPS photo by Todd Arrington. Visitors to James A. Garfield National Historic Site were treated to a robust weekend of living history during the park’s eighth annual Civil War encampment weekend. 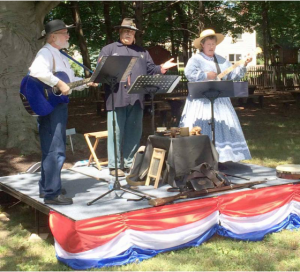 The event was funded in a large part by a $6,500 Eastern National Competitive Grant and featured reenactors, hands-on family activities, and a series of educational programs. This is the second year in a row that Eastern National has provided a grant to support this event. Click here for more information on this and other examples of our funds at work. Pictured from left to right: Dr. Susan Trail, Antietam National Battlefield superintendent; Hunter Parrish, EN store associate; Graham Blair, EN store associate; Dr. Edward Linenthal, author of Sacred Ground: Americans and Their Battlefields; Cullen Byers, EN store associate; and Keith Snyder, Antietam National Battlefield chief of resource education and visitor services at the first of three lectures held during the Antietam National Cemetery lecture series. Photo courtesy NPS. 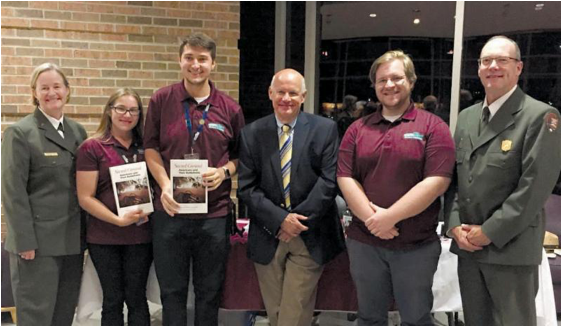 Eastern National recently provided support for a Saturday-evening lecture series held at Shepherd University. The series, titled “Remembering the Fallen – The Service and Sacrifice of the American Soldier,” commemorated the 150th anniversary of Antietam National Cemetery and was co-sponsored by Eastern National, the National Park Service, and Shepherd University. The lectures, which were free and open to the public, led up to this year’s 155th anniversary commemoration of the Battle of Antietam. Dr. Edward Linenthal (pictured above) presented the first lecture, which was titled “Sacred Ground: Americans and Their Battlefields: An Illustrated Lecture.” The second lecture, titled “Over There and Back: The American Doughboy Experience During the Great War,” was presented by Dr. Mitchell Yockelson. The third and final lecture in the series was presented by Dr. John C. McManus. This lecture was titled “The Fallen American Soldiers of World War II: Their World of Combat.” The first and third lectures were carried on C-SPAN. 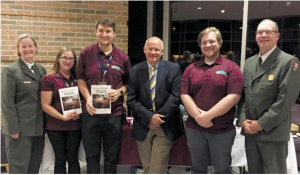 “This extremely successful speaker series would not have been possible without the direct support of Eastern National and our EN store sales team,” said Keith Snyder, chief of resource education and visitor services. “Bringing in top scholars from across the country through our partnership was critical to our 150th anniversary programming and the remembrance of 5,000 servicemen and women who are buried in our national cemetery.” A variation of this event is already being planned for 2018.